Edinburgh is the capital of Scotland and it is located in central eastern Scotland, near the Firth of Forth, close to the North Sea. Thanks to its spectacular rocks, rustic buildings and a huge collection of medieval and classic architecture, including numerous stone decorations, it is often considered one of the most lively cities in Europe. Scottish people called it Auld Reekie, Edina, Athens of the North and Britain’s Other Eye. 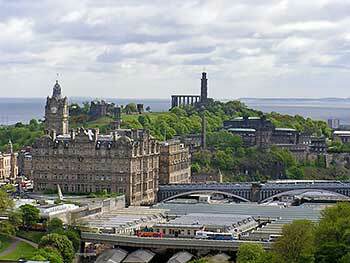 Edinburgh is not only one of the most beautiful cities in Europe, it is a city with a fantastic position. The view falls on all sides – green hills, the hint of the blue sea, the silhouettes of the buildings and the red cliffs. It is a city that calls you to explore it by foot – narrow streets, passageways, stairs and hidden church yards on every step will pull you away from the main streets. The city is one of the most popular tourist destinations in the UK. It is the capital of Scotland and home to many tourist attractions. A visit here will be well worth it, considering the numerous things you can do and see. Most of the structures in the Old Town have remained in their original form over the years. Charming medieval relics are plenty in this section of the city. In contrast, orderly Georgian terraces line the streets of the New Town. The general urban scenery is a blend of ancient structures and modern architecture, which gives the city a unique character. In 1995, the Old Town was listed as a UNESCO Heritage Site. With year round festivals, a throbbing nightlife and an entertaining arts scene, Edinburgh never falls short of interesting travel ventures for tourists. Edinburgh is a beautiful city filled with stunning geology. Its diverse landscape is worth seeing, as it transforms from the volcanic Pentland Hills in the south, to the seaside resort of Portobello in the East. To get a birds-eye view of the city, you can scale Arthur’s Seat, an extinct volcano, which is one of the most popular attractions. 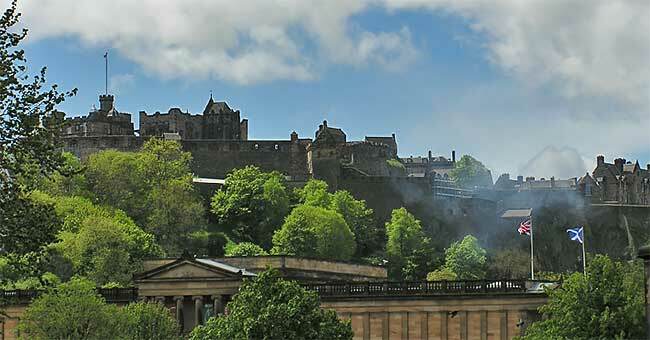 No matter how you get to Edinburgh – by train, bus or cab from the airport – Edinburgh Castle is a must see destination. You don’t need to be a good strategist to know why the castle is located at that spot – the volcanic hill with the sharp cliffs that have been cut by glaciers is the main reason Edinburgh is located here. 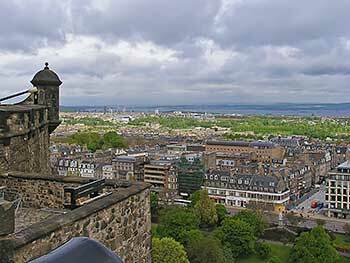 From this spot it is very easy to defend Edinburgh from an attack from all directions. 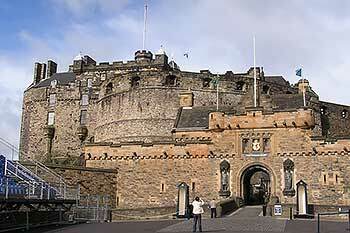 Edinburgh Castle has changed its owners many times; it was captured by the English and Scottish,. When you arrive you must, visit St. Margaret’s chapel – the oldest part in the castles complex and it is likely the oldest building that can be found in Edinburgh; it was built presumably around 1130. in the honour of queen Margaret who lived in the 11th century, and also boasts two beautiful rustic chandeliers that date respectively from 1695 and 1735. 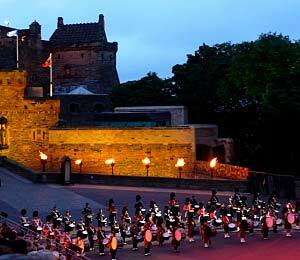 Edinburgh Castle is one of the attractions that you simply must see. 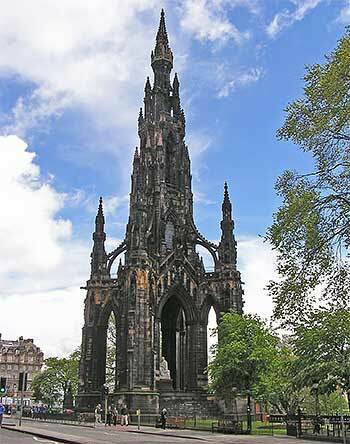 It is the most visited tourist attraction in Scotland. The Edinburgh international festival is more than a festival. It is an international festival, that offers you various artist performances (classical music, opera, ballet, drama). The Summer Edinburgh Festival traditionally is held during three weeks in August every year, and Edinburgh attract visitors from all around the world. You can also plan a visit during the Fringe Festival, where you will see comedy performances, drama and artists. You can also can visit the Book Festival, Jazz Festival and TV Festival, as well as others. Yes, Scottish folks love a good festival! Edinburgh is home to many theatres, where art lovers flock to witness on stage performances such as plays, operas, music concerts, and cabarets. Edinburgh offers a plethora of hotels within the city center. Finding a parking space in this central business district can be challenging though, so visitors should book hotels that offer parking space to avoid any problems. The suburbs in Newington, Tollcross, and Bruntsfield are a little less crowded. Mid-range hotels abound in the Old Town, especially around Cowgate and Hunter Square. St. Mary’s Street has plenty of accommodation options, ranging from award winning bed & breakfasts, 5 star hotels, and impressive townhouse villas, to hostels and affordable travel lodges in the south. If you want to stay in a home away from home, consider booking a self-catered apartment. Keep in mind that it may be difficult to get accommodation during August Festivals and New Year’s Hogmanay celebrations, as most hotels are usually fully booked. If you intend to visit then, make reservations months in advance.